Winter time often brings many cold and flu bugs with it. Along with insuring we’re taking care of ourselves with lots of natural immunity boosters, we like to drink as many nutrient-rich smoothies full of Vitamin C. This Citrus Blast Smoothie is so delicious and packed full of yummy fruits. It’s also a big hit with kids! If you’re feeling a bit under the weather or trying to protect yourself from pesky germs, this the perfect smoothie to drink, any time of the year. Place all ingredients in the blender and blend until smooth. Serve immediately. Enjoy! perfect!! it has a whole bunch of yummy goodness in it. and something my daughters would love to drink as well. I am a citrus lover and cant wait to give this a try ! This looks and sounds delicious. Lots of goodness in this and it must taste super good too. This looks so delicious and healthy–I will have to try it soon! We made this the morning and we were luck to try it hubby and i,the grandkids loved it ! I tried this the other day and it was so yummy! I love all things citrus! Things looks absolutely amazing! I have been sick all winter so I could definitely use the Vitamin C boost of this yummy-sounding smoothie! MMMM this looks really good, I love smoothies! I would love making this ‘Citrus smoothie. I would adapt it in this way. I would omit the grapefruit(I’m on statins.) and I would substitute greek yougart for apple juice. I think it would still be quite delicious and Healthy. Oh how yum! I might make it with blood oranges, which i love. I’ll try it!! super fit recipe!!! Sounds delicious! I’m definitely going to try this. yum! looks so fresh and healthy! definitely will try this. Wow this looks delicious! I love smoothies! Sounds more refreshing than the usual heavy smoothies! Will try! This looks soo good I want to try it! I love making smoothies and sometimes make popsicles with the same recipe. 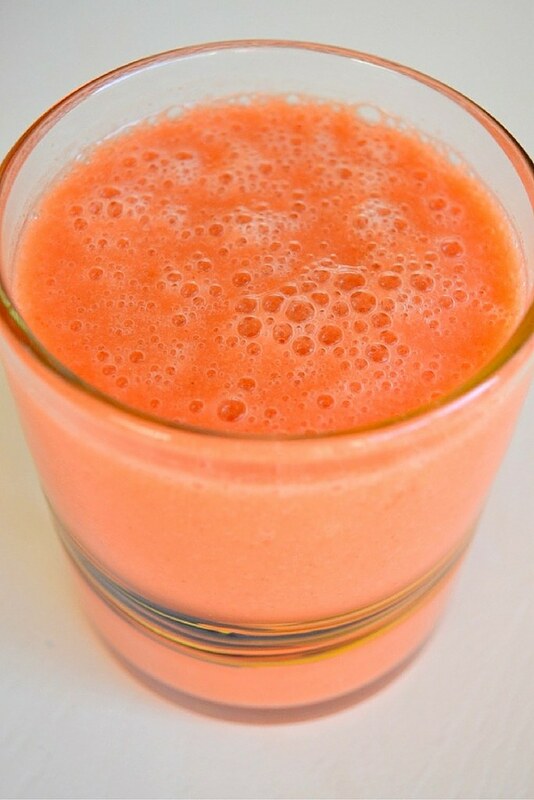 At first I thought it would be carrot juice, my favorite, is fresh carrot juice, but hard to find in my area. I love smoothies and citrus is one of my favorite flavors!! This looks delicious and refreshing!! This sounds absolutely delicious! Although I might skip the grapefruit. i love your recipe section its healthy and food my kids will try! Never thought to add citrus to a smoothie! This sounds delicious! Thanks we had our first hot day today and it was wonderful to sit out on deck with a Citrus Blast Smoothie chilled to perfection !! Wished I seen this recipe earlier, just finished off my oranges and grapefruit, grrrr now I need more so I can try this out, sounds very refreshing!! This citrus blast smoothie recipe sounds perfect because I love anything with fruit. This sounds refreshing. And it would be really great for summer cold. I think this would also make a great frozen treat too. This Citrus Blast Smoothie sounds and looks delicious. I am sure anyone would love the taste. They would know, as well, that this drink is full of vitamin C as a bonus. Thank you for the recipe. OMG! I have been looking for something like this for sometime now. It looks and sounds so so good. Thank you so much. I will be making this within the hour. A truly healthy drink that I will be happy to check out. I am going to have to try this as it looks so delicious. I love smoothies. This would be a great way to start any morning. That sounds so refreshing, I would even make it now in winter. I love citrus fruits so I will have to try this smoothie. I couldn’t make this smoothie as I am no longer allowed grapefruit due to my medication. Please be aware that this is the case with a lot of medications and a lot don’t notice this. I think I would enjoy this smoothie; looks really refreshing! that looks delicious.. never thought of using grapefruit in a smoothie.. will have to try it! I am so disappointed that I can’t drink this – I’m not allowed grapefruit due to medication. 🙁 I never realised that that was sometimes an issue until my brother mentioned it, as it was a favourite drink of his before he had to take tablets. I do like the colour of this smoothie. Wonder if it’d still taste good without the grapefruit. This sounds really refreshing. Going to make this so first of week gotta go buy a few items for it…. can’t wait to try!! Your Citrus Blast Smoothie looks so refreshing and the ingredients sound so good together. This one sounds delicious and I like the colour. I love that this one doesn’t have any yogurt! It sounds so good, too! 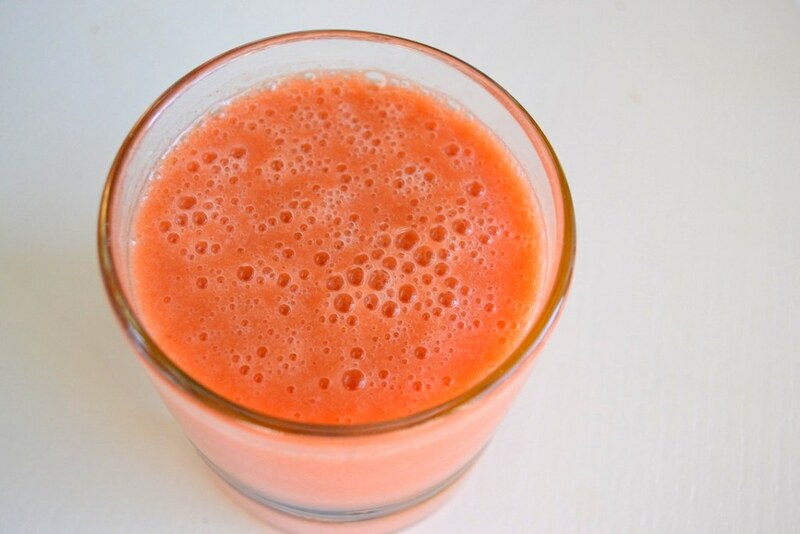 This is a very good smoothie, I love all the fruits in it and makes a great breakfast drink! !